Sheep Placenta Facial-Wendy Williams Show Features NYC’s Dyanna Spa Sheep Placenta Facial.Wendy Williams TV Show Beauty Placenta Facial Treatment in Manhattan New York . Wendy Williams Show Features NYC’s Dyanna Spa Sheep Placenta Facial Treatment! The Wendy Williams TV Show recently featured Dyanna Spa’s Sheep Placenta Facial.Saying most people think facials are only for the rich, Williams stated that although Simon Cowell pays around $500.00 for this particular facial in L.A. because he thinks it is better than Botox, Dyanna Spa in Manhattan, New York right now is offering the exact same treatment for just $85.00. Williams explained that the sheep placenta facial uses the amniotic stem cells of New Zealand sheep. The cells are extracted from the placenta without any danger, pain, or injury to the sheep. Sheep placenta cells have been found to be rich in enzymes, nutrients and minerals that are beneficial to human facial skin. Because of its restorative ingredients, the sheep placenta facial has great appeal as an anti-aging treatment, although it is also an excellent skin care facial for any skin type. 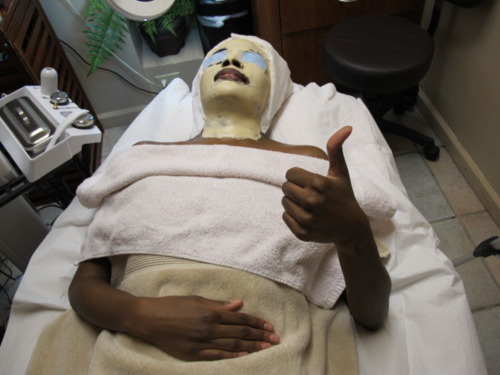 A member of William’s audience was chosen to have the facial, and one of Dyanna Spa’s cosmetologists administered it backstage. When the audience member reappeared on stage, her face looked noticeably vibrant. She said the gel mask had no odor, and that it made her face softer and younger looking. See for yourself how wonderful the sheep placenta facial and all of Dyanna Spa’s other treatments are. From hair removal, pedicures, and manicures, to facials, body treatments and massages, Dyanna’s day spa can take care of it all at prices that are incredibly affordable. Watch this video of the Wendy Williams Show when Dyanna Spa’s own Alla gives a sheep placenta facial. Then contact Dyanna Spa right away (before the prices go up) to schedule your appointment for this special facial for a younger, more beautiful you. New York Sheep Placenta Facial Treatment Truly Rejuvenating: Placenta Facial – Beauty Review At Dyanna Spa NYC! Nichole from SugaRushtv.com recently experienced a New York “Sheep Placenta” Facial Treatment at Manhattan’s Dyanna Spa and she wasn’t disappointed. The treatment itself is easy enough. The sheep placenta mask is applied and once it tightens up, it’s removed. The esthetician then applies a special placenta serum with gold flakes. The results are immediate. The facial treatment diminishes the effects of dry skin, sun damage, and aging, and leaves facial skin glowing for up to thirty days. Some of the world’s top celebrities regularly receive placenta facial treatments because they are one of the most beneficial beauty treatments for the face. Sheep placenta, which Dyanna Spa uses, has been around for ages, but only recently is getting the attention it deserves. Watch as Nichole gets a placenta facial at Dyanna Spa in NYC! the skin, reduces wrinkles, reduces the appearance of freckles, blemishes and scars, hydrates facial skin, reduces skin sagging, helps promote healing of acne, and overall reduces the signs of aging. Russian scientists were one of the first to test the efficacy of applying human placenta tissue (taken from maternity wards) to the face. The placenta tissue was eventually used to help clear up acne, and help reverse the negative effects of too much sun. It should not be surprising that placenta tissue is chock full of iron, protein, vitamins and minerals as it is responsible for nourishing the fetus in the womb. It also serves to remove waste from the womb. If you want to experience instant rejuvenation, try the New York Sheep Placenta Facial Treatment at Dyanna Spa in N.Y.C. Voted the best salon for facials several years in a row. 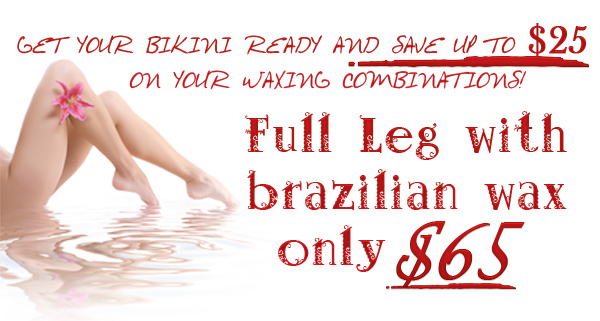 Dyanna’s prices are very affordable – only $85.00 for a 60 minute Placenta Facial Treatment !